Summer athletics camp is back! Looking for fun, energetic activities during the school holidays? Sign up to the Millennium Arena Athletics Camp today. Suitable for children aged 7 to 12 years of age. 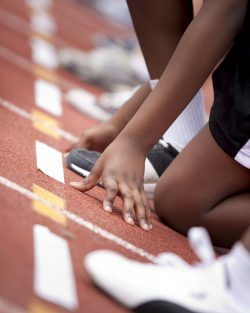 Our friendly and professional coaches will teach a variety of athletics; from running and relay, to shot put and high jump, everyone will get to try out all the different sports! Children of all abilities are welcome and no previous experienced is required. Due to popular demand, advanced booking is advised. Call 020 8871 7537 to book your place today.